A biker woman from Germany, aged 58, has died on Transalpina mountain road on Wednesday after she had got up the wrong way and collided with a car, the county Police of Alba reported. Police officers say the woman lost control of her bike near the Oasa dam in the Gura Cibinului area and got up the wrong side of the traffic and collided with a car driven by a 68-year-old man. 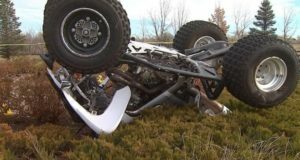 The German woman died following collision. The traffic was hampered on the Transalpina mountain road. 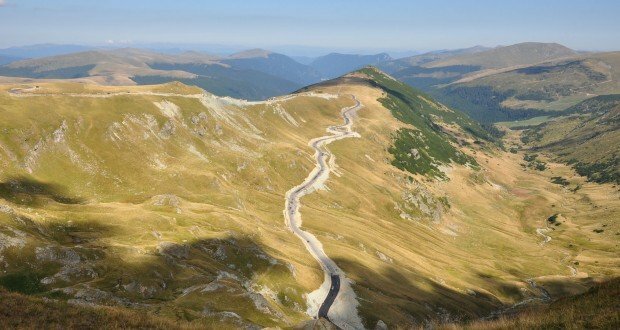 The Transalpina or DN67C located in the Parang Mountains is one of the highest roads of the Carpathians, linking Novaci, south of Parang, to Sebes in the north. The road was reportedly built under King Carol II during the WWII by German troops and that’s why locals used to call it The King’s Road. A legend says that communist dictator Ceausescu had Transfagarasan Road built just to outrank Transalpina. In 2009 the alpine road was completely paved and fully opened to traffic in 2012. Located in the Parâng Mountains group, in the Southern Carpathians of Romania, it’s one of the most spectacular roads of the Carpathian Mountains. This road is closed during winter but it can be closed anytime when the access is not cleared of snow.